I can’t wait for you to try this homemade hand cream. I don’t know about you but my hands stay so dry all year. This easy DIY hand cream does the trick and keeps hands well moisturized. I’m constantly washing my hands all the time and in the winter the cold and wind only makes the dryness worse. Most of the store bought hand creams are so expensive and I find they don’t work that well on my extremely dry hands. Once you learn how to make hand cream, you will be hooked! It’s really simple, inexpensive and much better than anything you can buy! I buy bees wax pellets on Amazon and just keep it on hand. It’s great for hand cream and also Cocoa Butter Lip Balm. I know you will love this hand cream and it’s cheaper to just buy a big bag. You will have it on hand to make another batch. Homemade Hand Cream for dry hands is all natural and easy on dry sensitive skin. It seems as mothers, our hands do a million jobs. They are in constant motion and touching a million things. With constant hand washing and use of hand sanitizer, it really dries out our skin. This hand cream brings life back to your hands and restores moisture. You can easily get rid of dry skin with this wonderful DIY Hand Cream Recipe. This hand cream is sure to impress as it gets rid of even the driest of skin. It really works wonders and all for a fraction of the price of fancy store bought creams. If your hands are dry and cracked, give this lotion at try. Let’s get started making this Easy Homemade Hand Cream! This DIY Hand Cream for dry skin does not make a ton. However, the small container is perfect for your purse. You can easily double or triple the recipe. Around Christmas or birthdays, I make a triple batch and give it out to my friends. Everyone loves it and it’s such a practical gift! 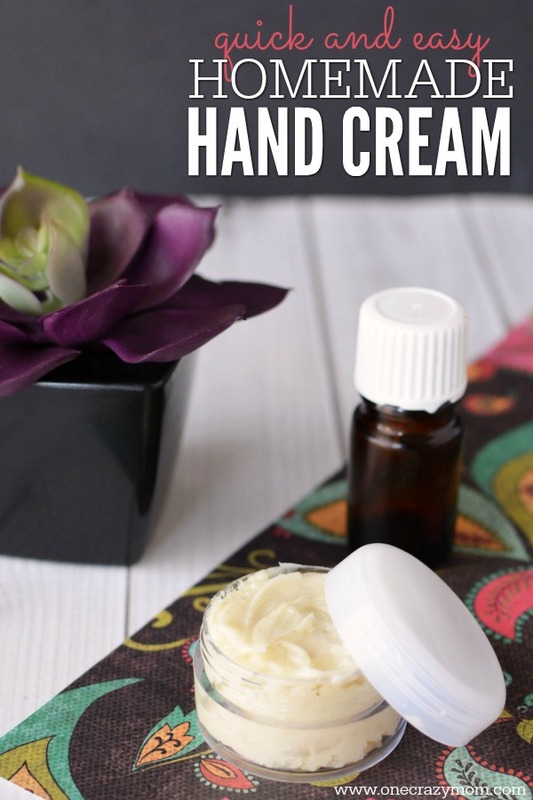 Homemade Hand Cream for dry hands is so simple and easy you will wonder why you didn’t make this sooner! 1. 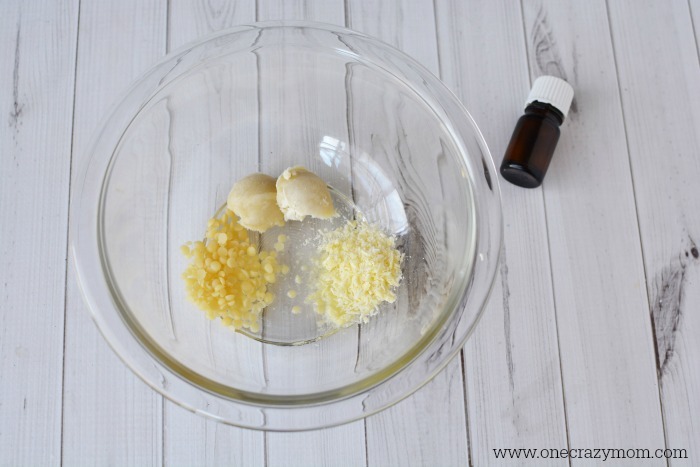 In a mixing bowl, add beeswax, cocoa butter, shea butter and almond oil. 2. Microwave for 1 minute 30 seconds, stirring well every 30 seconds. The beeswax pellets will melt last. Continue to stir until melted. 3. Stir in essential oils of your choice. Refrigerate for 10 minutes and stir well to whip with a spoon. Spoon into a small container once room temperature. You can find several more glass jars for container options here. 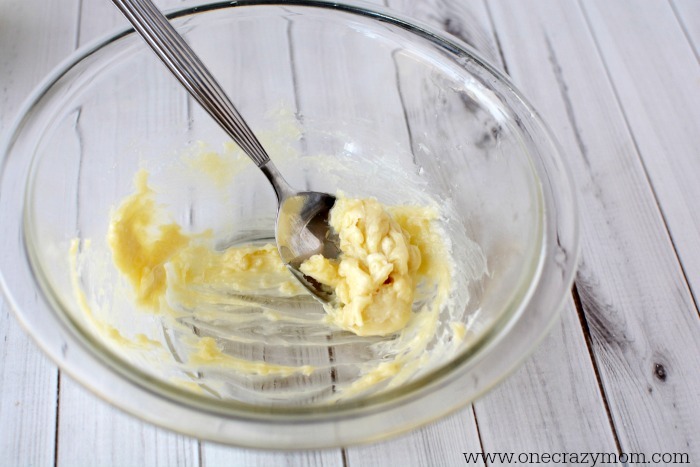 If you prefer not to use a microwave, a double boiler can be used instead for this recipe. A little goes a long way with this hand cream. Just a dab will moisturize very well. This is the perfect size to put in your purse or for travel. Now that you know how to make hand cream, you will be hooked! It works amazing and lasts awhile since you only need just a dab to work on dry hands. You can also try Homemade Lavender hand cream simply by adding lavender essential oil. 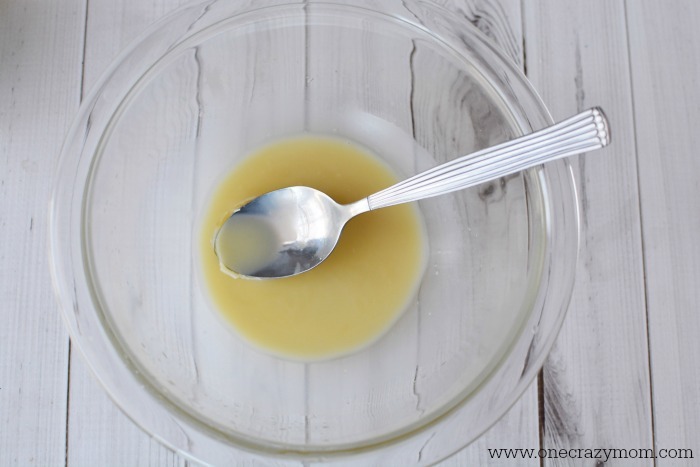 Let u know what you think about this DIY Hand Cream non greasy recipe. It works wonders for dry skin and without leaving your skin feeling greasy. Just a small amount and you will see a relief from your dry skin. I keep a container of this in my purse and it’s great for on the go. It does not take much room and I can always get relief from my dry skin. My friends love it so I share a lot with them as well. It’s a great gift idea or something to pop into a gift basket! We love practical things around here that are useful and do not take up more space and create clutter. 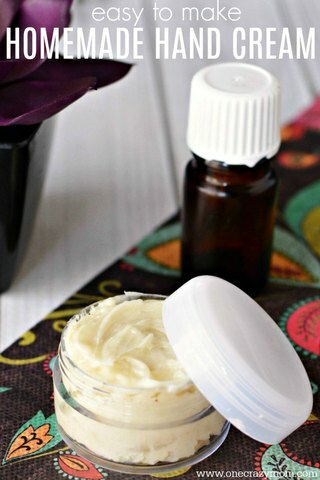 I’m not a huge fan of lotion bars and really prefer this Easy Homemade Hand cream. The lotion bars are hard to manage. Whereas these little jars just pop right in my purse. You could also try making Homemade Hand Cream Coconut Oil recipe by adding coconut oil instead. Olive oil is another good substitution. If you prefer Homemade Hand Cream Without Beeswax, this version with coconut oil is a good alternative. 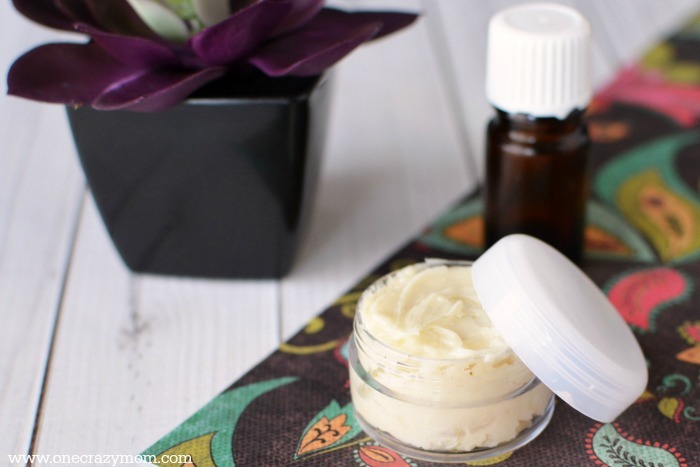 How do you make homemade lotion easy? 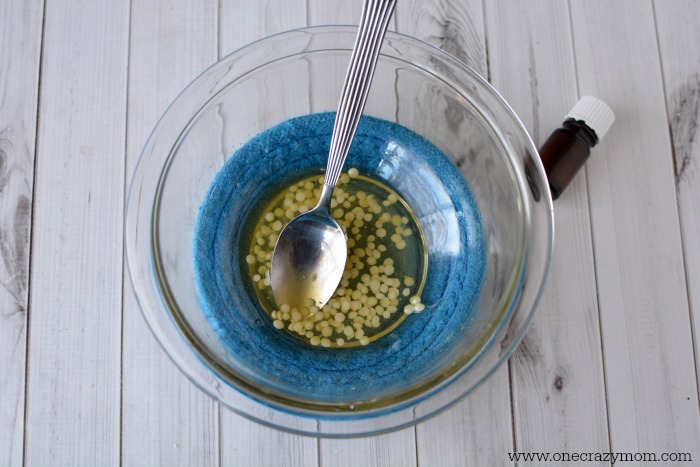 You might also want to try making easy homemade lotion. This isn’t as thick as the hand cream and perfect to moisturize your entire body. It’s just as simple as this Homemade Hand Cream and I am certain your entire family will love this lotion as well. Now that you know how to make your own Homemade Hand Cream for dry hands, it’s SO simple! You don’t need to spend tons of money or time making natural products. These items are simple to make and only require a few ingredients. You will be pleased with how much you save and how little time it takes. No need to bust the budget trying to give your family all natural products to use. This easy DIY hand cream does the trick while being frugal and simple to make. 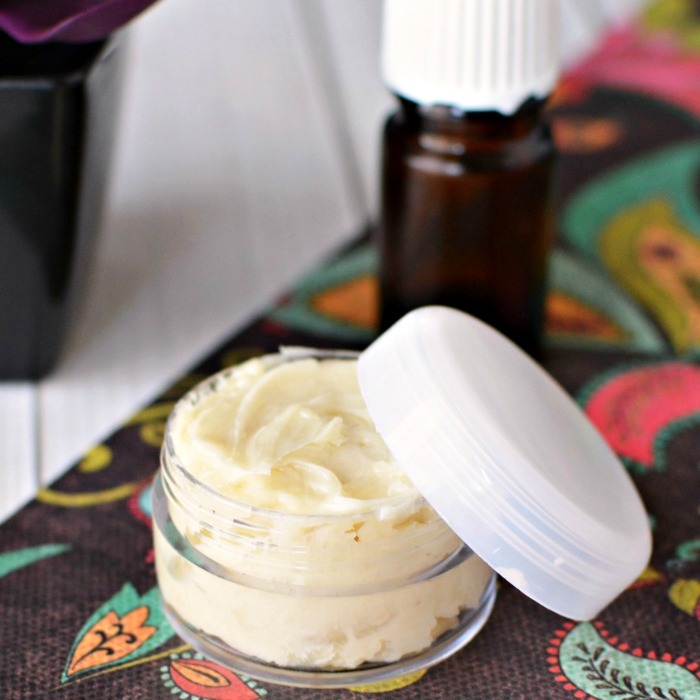 You won’t find any added chemicals or extra ingredients in this Easy Homemade Hand Cream. Your family is going have well moisturized hands without any worry of what is inside. It’s wonderful knowing what each ingredient is and feeling good about giving this to your family including our children. You will enjoy making your own products. Once you learn how to make this Homemade Hand Cream, try some of our other ideas for more natural products you can make. When we first started trying to incorporate more natural products into our lives, I only did one or two at a time. Sometimes, just one. I just did what time and budget allowed. Don’t get overwhelmed and try do it all at once. Before long, I had a long list of products we had made! I try to let the kids help as much as possible. It’s truly a family event. Not only have we made precious memories but have a lot of products to use that benefit our family. I think you will be pleasantly surprised how quick and easy it is to make your own products at home.There are so many great products to make and try! 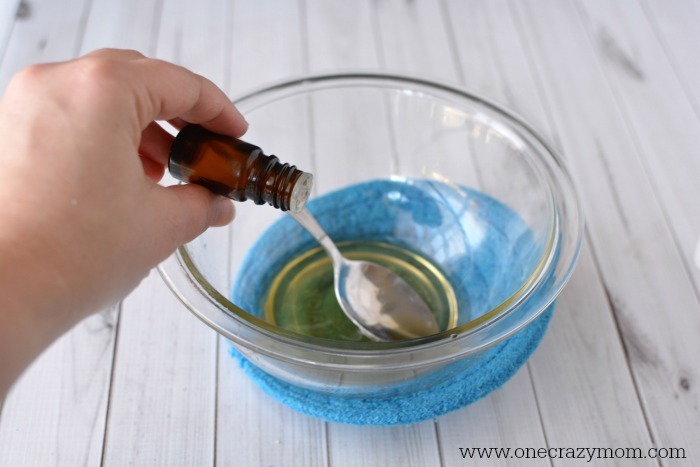 We also love this Brown Sugar DIY Body Scrub and DIY Shaving Cream for Women. Those are great ones and some of our favorites. The scrub is helps to exfoliate dry skin and the shaving cream is so moisturizing! Just made a batch of hand lotion. Nice. Thanks for the recipe. I had all the ingredients and saved little jars for years just cuz they are cute. I put them to use.